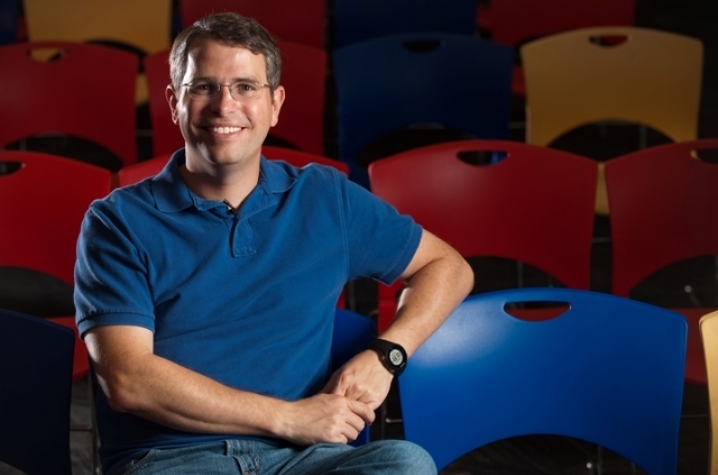 LEXINGTON, Ky. (Dec. 16, 2015) — This Friday, the University of Kentucky will bestow its greatest honor — the awarding of an honorary degree — to UK alumnus Matt Cutts. The 1995 graduate will be recognized with an honorary doctorate of engineering during the Undergraduate Commencement Ceremony 3 p.m. Friday, Dec. 18. Cutts has become well known as one of Google’s first 100 employees and has headed the company’s Webspam group since 2004. Cutts’ leadership has resulted in safer web searching for families and children, improved ranking schemes, and "search encryption." A native of Morehead, Kentucky, Cutts was awarded a Singletary Scholarship to attend UK in 1990. He graduated with a double major in 1995, earning Bachelor of Science degrees in computer science and mathematics. While at UK, Cutts achieved a sparkling academic record, maintaining a 4.0 GPA, receiving a Gaines Fellowship in the Humanities, earning election to Phi Beta Kappa and being named the Outstanding Graduating Senior in the College of Engineering. Outside of the classroom, Cutts excelled in a cooperative education opportunity at the Department of Defense in Fort Meade, Maryland, completing four work tours (adding up to more than one year total) with the National Security Agency. On campus, he was recruited to serve as a member of the Mathematical Sciences staff, serving as a teaching assistant on a distance-learning class, one in which he had determined the computer hardware necessary to make the class possible. After graduating from UK, Matt earned a Master of Science degree in computer science at UNC-Chapel Hill, where he served as a research assistant and software engineer. He was awarded both a National Science Foundation Fellowship and a Link Foundation Fellowship. Cutts was inducted into the UK College of Arts and Sciences Hall of Fame in 2012.